To mark the end of the second calendar month of the 10th Championship, khl.ru continues its brand new feature, in which we ask renowned experts from the world of hockey to choose a Team of the Month – the best goalie, the two most formidable defensemen and the three most dangerous forwards in the League over the given period. We turned to Alexander Fomichev, Alexander Guskov and Alexander Boykov to chose our five finest skaters and best goalie for our September Team of the Month. Shestyorkin has been playing superbly, without a single dip in form, which also applies to the team as a whole. 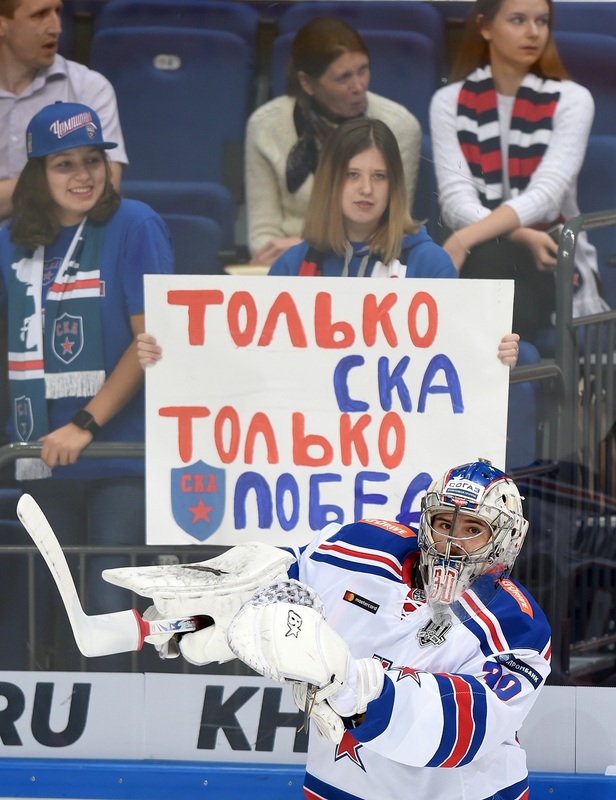 Head coach Oleg Znarok has two fine goalies, Koskinen and Shestyorkin, and he selects whichever is performing better at the moment, although he makes sure that both are given enough time to fight for the number one spot. Igor was granted the opportunity and no-one can deny that he grabbed it with both hands. Anything can happen in hockey, so we must wait and see how the season pans out, but any great team needs two reliable goaltenders. 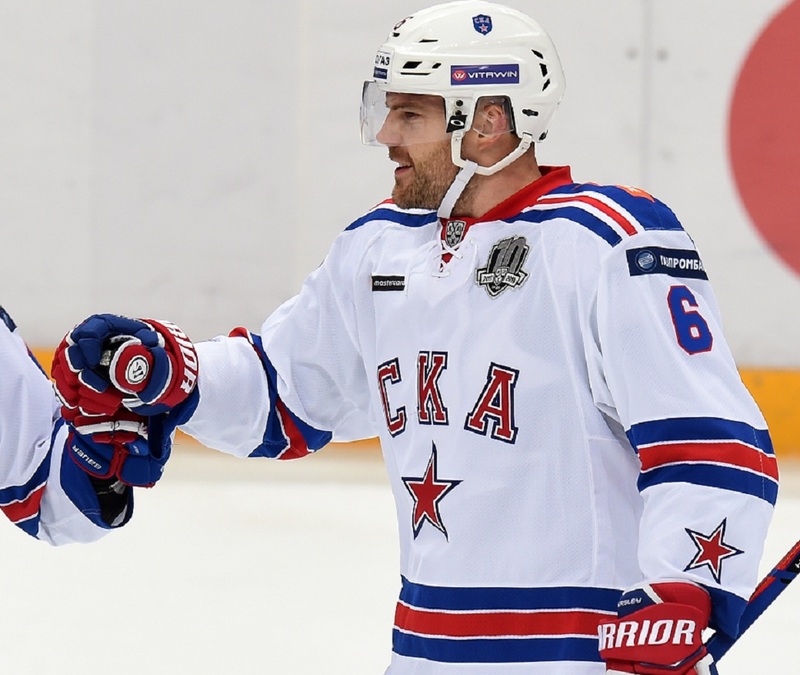 SKA is an offense-minded outfit, and when the team is constantly launching raids on the opposition net, it is easy to overlook the quality they possess in defense. Preventing goals is an important part of the game. We have seen in the past how such teams can be let down by the lack of a solid goalie, but Shestyorkin and Koskinen inspire confidence throughout the side. Patrik Hersley has had a phenomenal month: SKA continues to win game after game, and Patrik has been one of the driving forces. Not every defenseman can score in six consecutive games, and that alone is enough to earn the Defenseman of the Month award. He also boasts one of the highest efficiency ratings of any player in the League, while his team occupies first place in the overall standings and frequently wins in emphatic fashion. While all the players have their different strengths, Hersley is a great team player who wins those important personal duels on the ice. 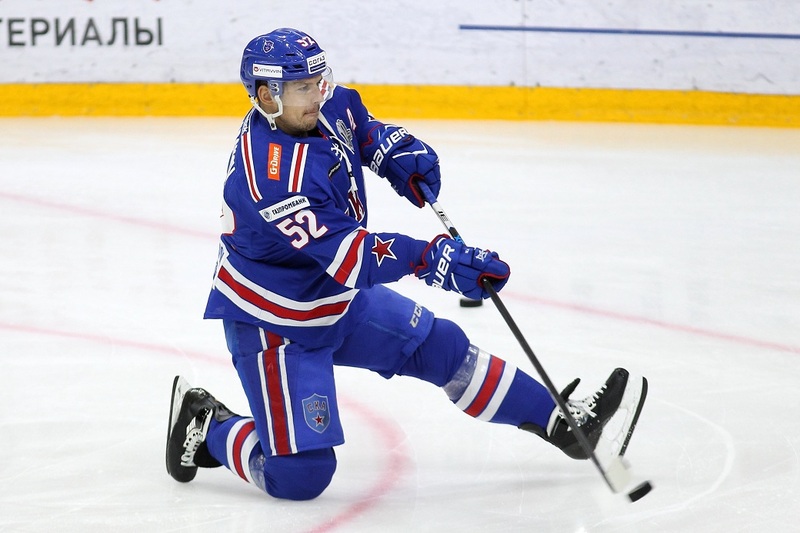 Denis Barantsev has scored more goals this month than he has ever managed before in an entire season, so he and his team can be very satisfied with his month's work. In addition to his six goals, he has a respectable efficiency rating, and moreover, he is still quite young – only 25 -and will in all likelihood become an even better player. Not many in Nizhny Novgorod predicted that Denis would become a valuable goal-scoring defenseman, but that is what he has become. Sergei Shirokov is enjoying one of the best seasons of his career, so it is no surprise that the Petersburg danger man features in our selection for the second successive month. He made an excellent start to the campaign, kept up the momentum, and cemented his place as one of the champion's leaders. His exploits are all the more praiseworthy when you consider that he does not receive a lot of ice time, but he makes very efficient use of what he gets. He is one of the key players in a star-studded team which is yet to suffer defeat this season, and with 21 points he is the League's highest scorer. 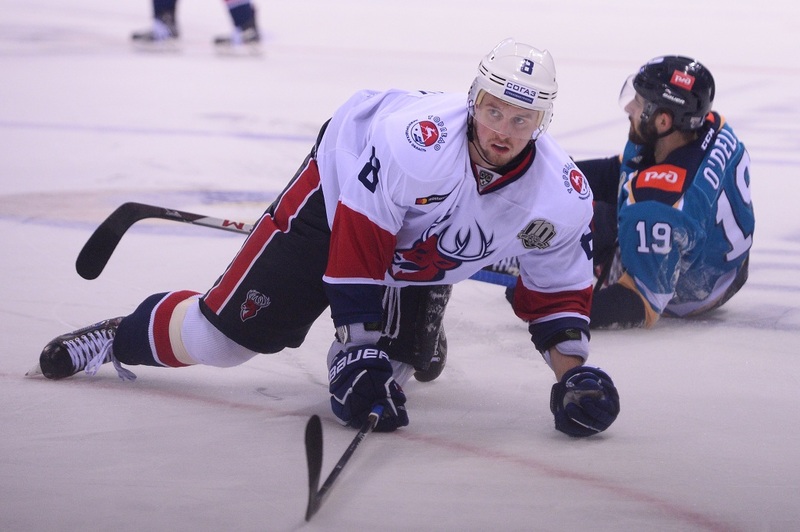 Nigel Dawes is currently the 10th Championship's top sniper, boasting 15 goals in 15 games, as well as being the KHL's undisputed king of the hat-tricks, and he has scored or assisted on 50% of the Astana team's goals this season. Moreover, he has achieved all this despite starting the campaign with new line-mates, after Brandon Bochenski called time on his career and Dustin Boyd moved on to Dynamo. 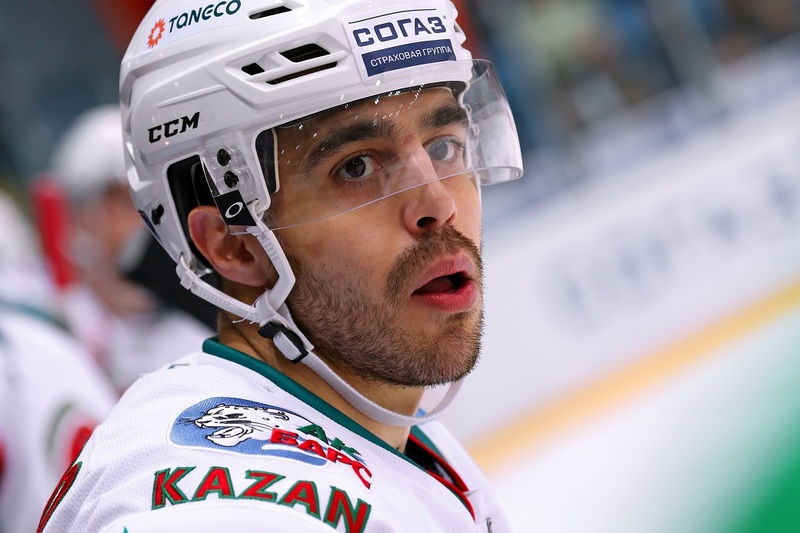 In fact, the 32-year-old Canadian and Kazakhstan intrnational is one of the main constants in a sea of change at Barys. His new partners, fellow Canadians Linden Vey and Matt Frattin, have of course performed admirably, but it's to Dawes's great credit that he has remained as prolific as ever while acclimatizing to a new line, in a much-changed roster, and under a new head coach. . The Ak Bars coaching staff of has put together a really formidable line with Justin Azevedo, Anton Lander, and Jiri Sekac, and it is thanks in no small part to this trio that the Kazan guys sit atop the Eastrn Conference, with the most wins and best goal differential The chemistry between this three-man Foreign Legion swiftly became apparent, and now,, a little over five weeks into the championship, Azevedo has already hit 10 goals, and in a team whose forwards are expected to track back and help out in defense. In the entire 2016-17 campaign, Justin scored 13 goals in the regular season and another 3 in the post-season, whereas this season he has already reached double figures after only 14 matches. Indeed, Ak Bars has struck a total of 46 goals to date, which proves that a team can still be defense-minded without being toothless.